It is long enough to be serious and short enough to hold people’s attention. It turns out that this length also works incredibly well online. It’s the length of a coffee break. 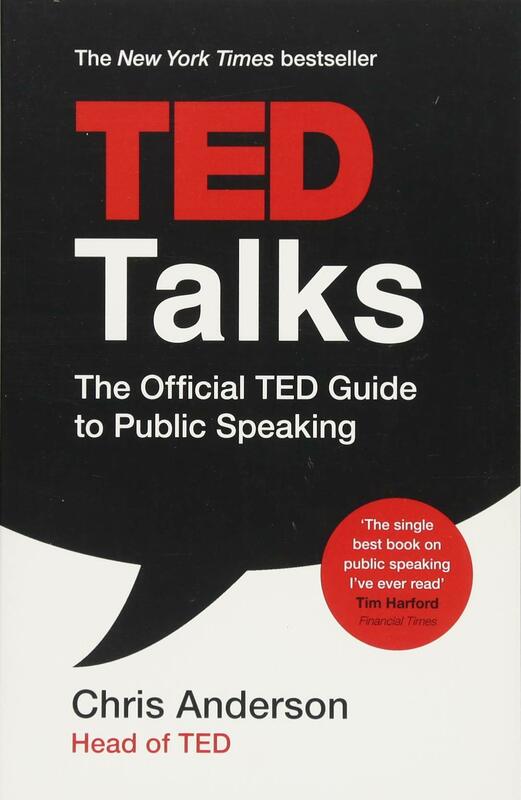 So, you watch a great talk, and forward the link to two or three people. It can go viral, very easily. 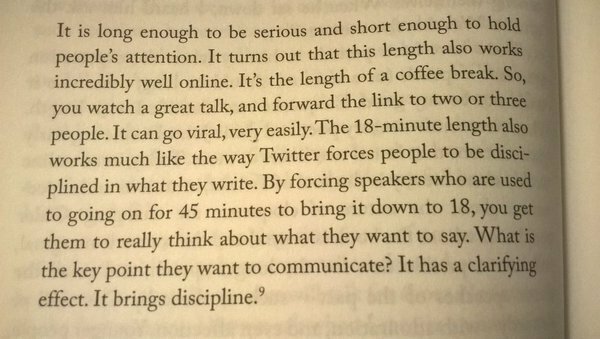 The 18-minute length also works much like the way Twitter forces people to be disciplined in what they write. By forcing speakers who are used to going on for 45 minutes to bring it down to 18, you get them to really thing about what they want to say. What is the key point they want to communicate? It has a clarifying effect. It brings discipline.